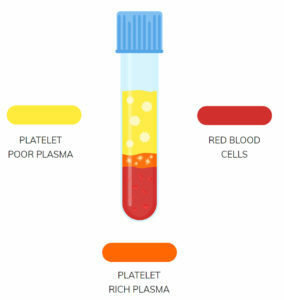 PRP or PLATELET-RICH PLASMA is a concentrated form of blood plasma from the patient’s own body (autologous). PRP contains a number of growth factors and other cytokines that can stimulate healing of soft tissue and cartilage. 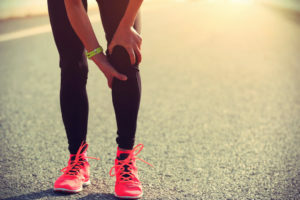 The use of platelet rich plasma therapy (PRP) in Los Angeles has made great strides in recent years for orthopedic treatments regarding knee, tendon, and chronic joint injuries. Many elite professional athletes, like Tiger Woods, Rafael Nadal, and baseball players for professional teams like the New York Yankees, credit PRP in helping to enhance their recovery after traditional treatments like intensive physical therapy and surgery produced limited results. In addition to playing a crucial role in the clotting process, blood platelets also contain proteins known as growth factors (not to be mistaken with human growth hormone). The growth factors help the body to accelerate healing of wounds and injuries, like a sprained knee or an ACL injury treatment, or rotator cuff. Through the advancements made in regenerative medicine in recent years, Los Angeles orthopedic surgeon Dr. Steven Meier and his team at Meier Orthopedic Sports and Regenerative Medicine can create an injection enriched with a much higher concentration of platelets and growth factors, in order to turbocharge and speed up the healing process, all from a small sample of the patient’s own blood. PRP treatments typically contain five to ten times the concentration of platelets and growth factors normally found in whole blood. The patient’s own blood is drawn and spun in a centrifuge to separate the plasma. 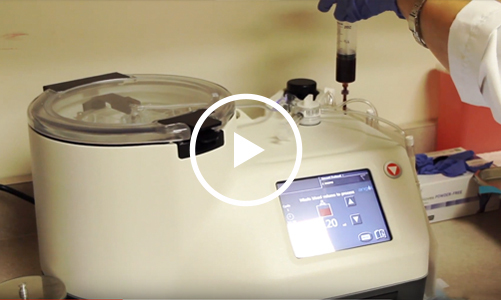 This plasma is now concentrated with platelets and injected into the injured joint or tendon. This platelet-rich plasma is packed with at least seven growth factors D- epidermal growth factor, platelet-derived growth factor, transforming growth factor-beta, vascular endothelial growth factor (VEGF), fibroblast growth factor, insulin-like growth factor, and keratinocyte growth factor. The growth factors help the body to accelerate healing of wounds and injuries, like a sprained knee or a torn ACL, or rotator cuff. PRP treatments typically contain five to ten times the concentration of platelets and growth factors normally found in whole blood. As a stand-alone treatment PRP can help patients that have had little success with more traditional forms of treatment for chronic joint pain or a recurring injury. PRP can be used in conjunction with stem cell treatment to give a boost to stem cell processes, or it can be used as a stand-alone treatment. PRP acts as fuel for the stem cells. Sometimes, after a stem cell treatment Dr. Meier will inject PRP at one month intervals to “recharge” the stem cells which can remain active for 8-12 months. Dr. Meier has helped to pioneer the use of the various forms of regenerative medicine – stem cell, prolotherapy, and platelet rich plasma treatments for joint pain and injuries in Los Angeles. For more information on PRP for joint pain, visit science.gov. With continued breakthroughs in research, and promising results from the application of platelet-rich plasma to injured joints and connective tissue, regenerative medicine experts, like Dr. Steven Meier, are making an advanced and revolutionary treatment that was once almost exclusively available to elite athletes accessible to a broader range of patients in Los Angeles, from high functioning weekend warriors to patients suffering from the effects of a workplace injury. To learn more about platelet rich plasma and how Dr. Meier and his team at Meier Orthopedic Sports and Regenerative Medicine in Los Angeles can help you recover with regenerative medicine, contact us at 310-736-2793 to schedule a consultation today.